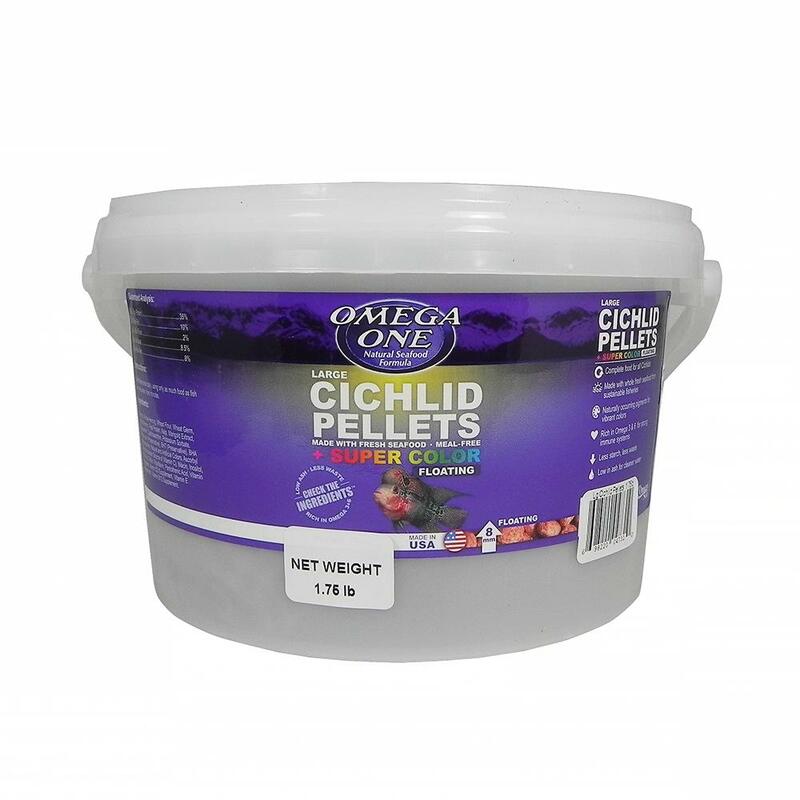 Large floating pellets for all types and sizes of Cichlids. Superb color enhancement, with unsurpassed nutrition and palatability. Whole Salmon, Whole Herring, Whole Shrimp, Wheat Flour, Wheat Gluten, Fresh Kelp, Lecithin, Astaxanthin, L-Ascorbyl-2-Phosphate (Source of Vitamin C), Natural and Artificial Colors, Vitamin A Acetate, Vitamin D3 Supplement, Vitamin E Supplement, Vitamin B12 Supplement, Riboflavin, Niacin, Pantothenic Acid, Folic Acid, Biotin, Inositol, Tocopherol (Preservative), Ethoxyquin (Preservative).